Model Railroading in the Digital Age! Please join us on September 21st & 22nd at the Aloft Hotel (downtown) in South Bend Indiana for another exciting educational opportunity featuring some of the hobby’s most experienced modelers. 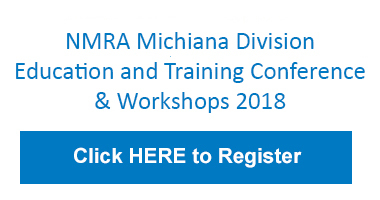 As the birthplace of the NMRA’s new EduTRAIN Program, the NMRA Michiana division attracts model railroaders like you from across the country due to the conference content, the expertise of its presenters, and its appeal to modelers of every scale. Another great "Modeling like a PROtotype" Conference! 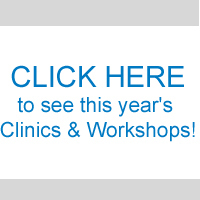 This year’s program promises a full schedule of new educational clinics from some of the best modelers in the Midwest, an all day Weathering Clinic on Friday and Saturday, Workshops, Layout tours on Friday Night, and a large Freemo layout! In addition to our great clinics, this year's workshop lineup will feature one-hour workshops like Making Tools for Model Railroading Tony Sissons and Modeling with Maynard Mitchell, plus Dave Schroedle's all day weathering workshop each day. We also encourage you to bring display models to the conference so that all of our attendees can see examples of the many techniques being employed in the hobby. Freemo! Once again, we'll have a large Freemo layout that can be operated during the conference. Prizes will be given out throughout the conference. Rooms are available at the Aloft hotel for $135 and the Comfort Suites University Area for $95. Click the button below for details. Register now! Note: Some presentations may be changed due to circumstances beyond our control. Model Railroad, Prototype Railroad, and non-railroad tourist venues in the northwest Indiana and southwest Michigan area. Copyright © 2018 NMRA Michiana Division. All rights reserved.